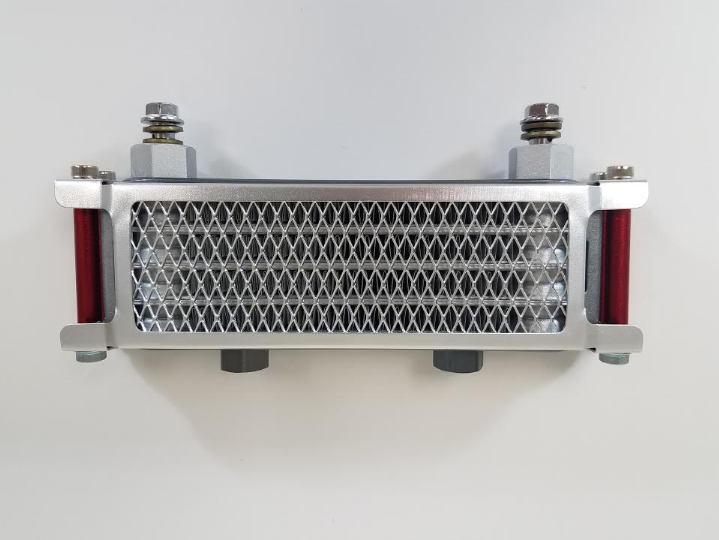 A high quality oil cooler for Honda style 50 and 70 engines! 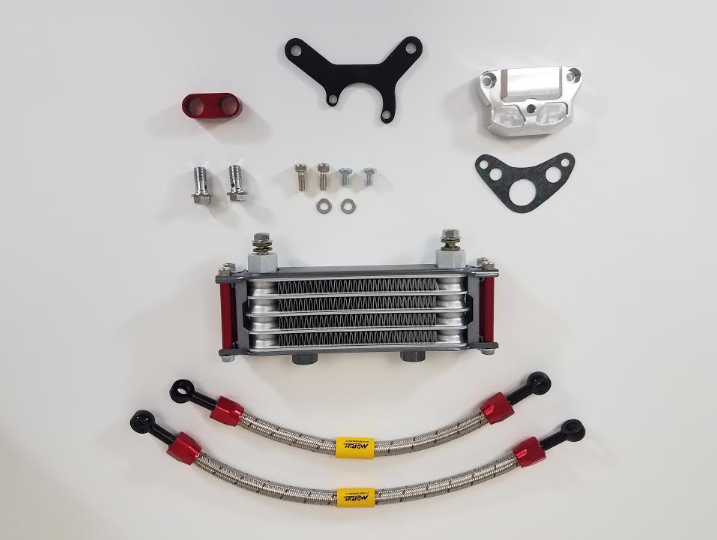 Help aid in the longevity and performance of your motor by keeping it cooler with this high performance oil cooler. 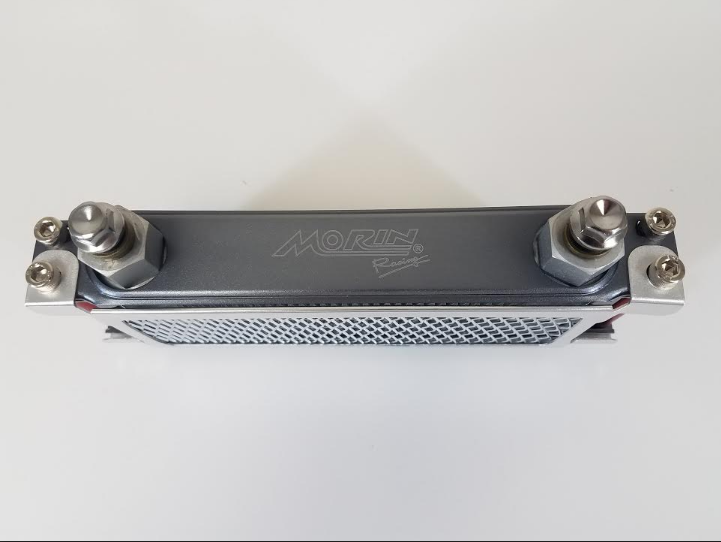 Mounts to your intake manifold, comes with billet oil plate adapter, SS lines with anodized fittings, and mesh to protect the oil cooler. The Oil Plate's Top Mounting Bolt Holes Are the Same as Honda 50 and Honda 70: 65mm center to center.